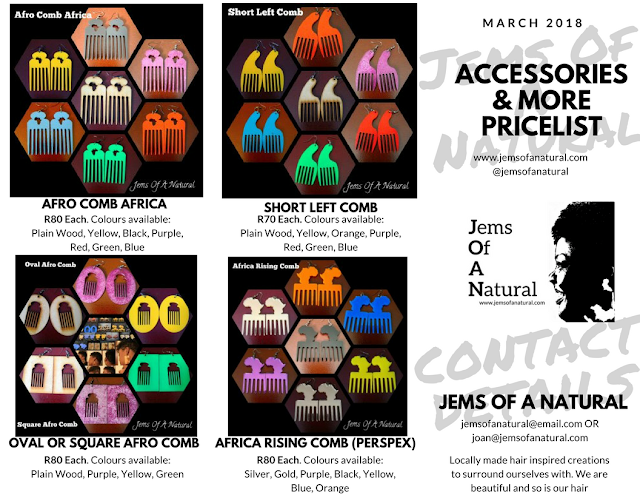 I am really loving the level of service and commitment shown by various new entrants in the Natural Hair Product suppliers market (still debating what else to call them - Importers doesn't cut it). Obliging my product junkie tendencies - I will soon be removing this term from my vocab - its more a devotion to finding my Holy Grail/Go To/Jem 101/Haircan'tdowithout products (yeah right Ms Product Junkie) - I heard about Tender Loving Hair (no longer in operation in 2017) and this post has been updated accordingly) I immediately knew I had to place an order. TLH give a nice choice in delivery options and they are looking into cheaper courier charges. They strive to abide to a high level of customer satisfaction and I can attest to this, being a more than satisfied customer. Thank you Beatrice for going out of your way for lil ol me and thank you to the whole TLH team (2 super women) for enhancing the Natural Hair offerings in South Africa. Exciting times in SA. I tried my COCONUT & HIBISCUS CURL ENHANCING SMOOTHIE the very next morning and my hair loved it. (Its supposed to be early winter here but Johannesburg has experienced some major heat these last few days. I have felt like moisture was literally being zapped out of my hair and skin and noticed that my hair was a little dry later on in the day. I am still trying to get a regimen going and will do a separate review of this smoothie. I also tried my SHEAMOISTURE YUCCA & BAOBAB THICKENING MOISTURE MIST, smells fab. 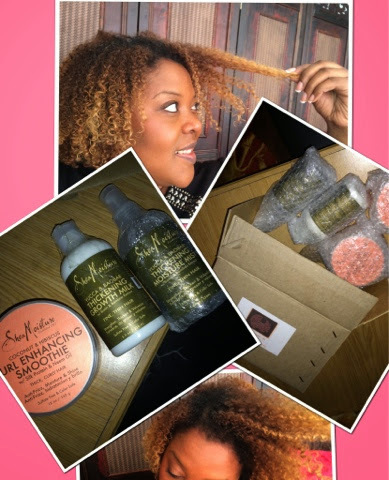 Shea Moisture products are highly favored by members of the Natural Hair Movement. 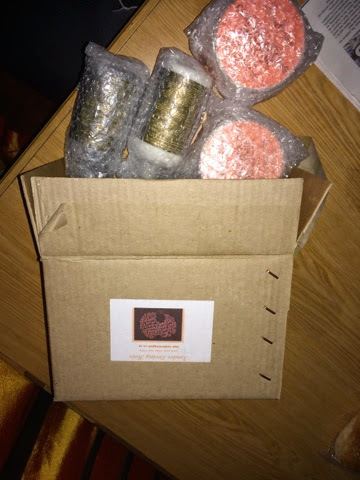 They are as natural as natural can be, eco-friendly and I have seen many positive reviews - seems the products do what they say they will do to nurture and maintain your natural hair. Shea Moisture do not only do hair products by the way and I can't wait for the make up and skin care range to hit our shores. We know what’s NOT in our products is just as important, too. Our collections do not contain synthetic ingredients commonly found in other products that may be considered harmful or carcinogenic, including: No Sulfates, No Parabens, No Paraffin, No Propylene Glycol, No Petrolatum, No DEA, No Phthalates, No UREA, No Mineral Oil. In an era of outsourcing, we’re proud to create in our own communities. We make our products at a local factory in Amityville, NY. Our iconic Shea Butter is ethically sourced from women’s co-ops in Northern Ghana - empowering women just like Sofi. Our bottles and jars are made from recycled materials; our packing and shipping materials are, too, whenever possible. And our products are tested only on willing family and friends - never on animals. SheaMoisture created The Sofi Tucker Foundation to support the empowerment of women - donating to and sourcing ingredients from global women-run co-ops - as well as charitable organizations around the world, including The Liberian Education Fund for the Todee Mission, which provides education and room and board for impoverished children in Africa. We also support Homecoming Farm and Sofia Garden, which grows certified organic food for shelters and soup kitchens in our Long Island community.